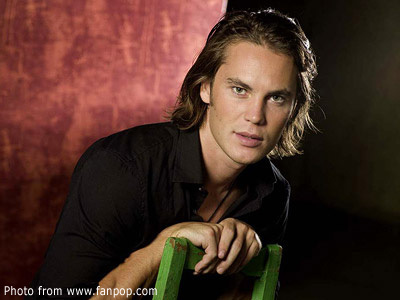 True, Customs’ Ruffy Biazon has every right to feel upset about the Canadian-born actor Taylor Kitsch’s absent-minded narration on American late night national television about being hustled upon arrival at some airport. Take note, though, that at no point in his interview with talk show host David Letterman did Kitsch ever mention the Philippines. “It is with seriousness that I take into account the story related by Canadian actor Taylor Kitsch in an interview in the Late Show with David Letterman. As soon as it came to my attention, I immediately conducted an inquiry into his allegation. “My concern stems from the fact that such an allegation not only puts the Bureau of Customs (which I head) in a bad light but the country as well. For the past five months, I have been trying to reverse the negative image of the BOC, so incidents like this undermine those efforts. In a subsequent interview with the media, Biazon sportingly went on record that the least he expects from Kitsch is a ‘clarification,’ although an apology would be better. Now that we have all seen the video of the actual interview, though, then we all know who really is to blame. “You’re promoting that movie and at the same time you're making a film in the Philippines…” This was David Letterman speaking. “Oh yeah,” Kitsch picked the conversation up from that point and went on with the narration of his experience. If there is anyone to blame for this whole to-do, then it will have to be Letterman. I don’t believe for one moment, though, that either Letterman or Kitsch meant any malice. 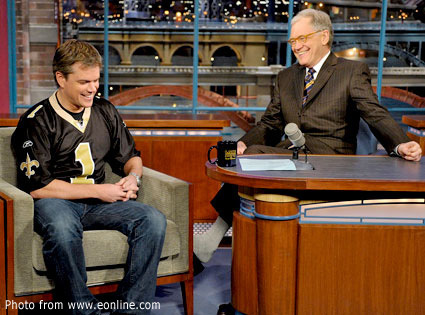 For Letterman, he was simply trying to elicit a story. It was, after all, a talk show. As for Kitsch, my guess is that he took the cue from the phrase ‘you’re making a film’ and probably did not realize that there was a case of mistaken identity as far as the country involved was concerned. Personally, from the tone of Kitsch’s narration, I don’t think that he was being judgmental or even disdainful. In all honesty, he sounded as though he was simply narrating an anecdote that he even thought humorous. At the time, of course, neither Kitsch nor Letterman probably realized that a mistake had been made. Who knows? Maybe Letterman’s researcher did not do his or her job correctly. Perhaps, it was Letterman himself who just made an honest mistake. God knows that sort of thing happens to all of us in the most unfortunate of times. While the IMDB web site gives sites in Los Angeles as the film’s locations, in fact parts of the film were also shot in Indonesia. What is becoming increasingly apparent is that Kitsch was never in the Philippines in the first place. In fact, a report in the IMDB web site also says, Indonesian immigration officials have already taken the cue from their Philippine counterparts and have ordered their own investigation. Anyone watching would have immediately realized that something about Kitsch’s story did not quite make sense. Although I don’t know what the airport protocol is in Indonesia, I don’t think that the stamping of passports will be the function of Customs there, either. This is simply the function of Immigrations. On the other hand, Kitsch probably couldn’t care less whether it was Customs or Immigrations that he was talking about. His focus as he told his story was on the experience of being held and almost being sent back to his point of origin. Biazon is correct in asking for a clarification from not only Kitsch but also Letterman. Both will probably be sporting, realize that they made mistakes and probably issue separate apologies. What they will both probably find extraordinary is the amount of fuss that an honest mistake – if, indeed, it was – has caused. 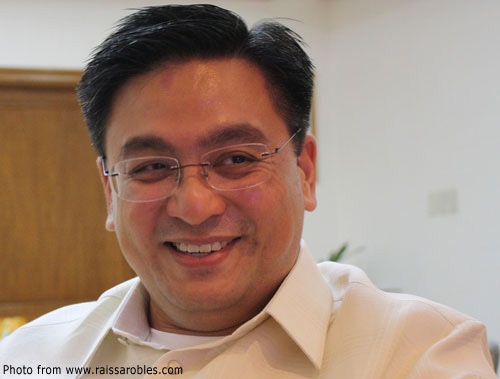 Biazon is probably touchy because of his efforts to clean up the bureau as well as its image. This I admire. That said, if I’m being honest, the story that Kitsch related did indeed sound very much like the sort of thing that could have happened in this country. I am all for government’s efforts to stamp out corruption. I just hope that we are not simply being fortunate that Kitsch’s story happened elsewhere this time.